Beautiful baby hampers created with love for you to give. 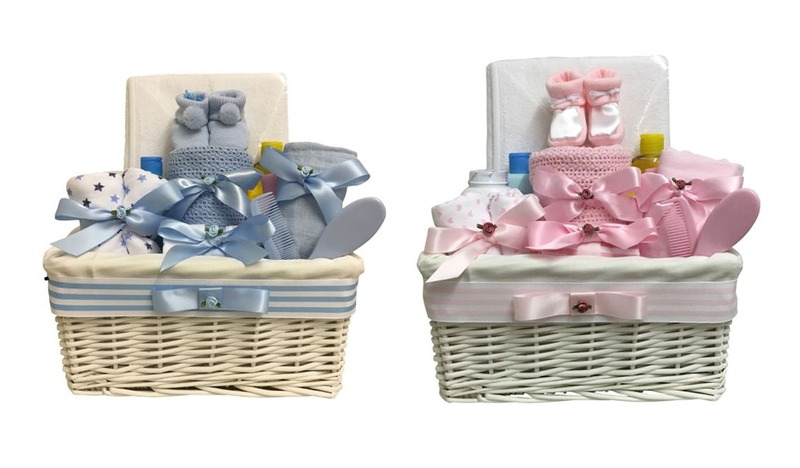 Baby Hampers are perfect for baby showers, maternity/paternity leavers or for greeting new arrivals. 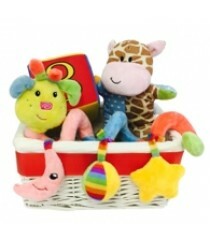 Our baby hampers are presented in wicker baskets and filled with useful baby items and then finished with shred. We then wrap them in cellophane and attach a bow and an ingredients/message tag. Contents: 5 Pocket Tool Belt ( To Keep It All Together! ) 3 .. Contents: Wicker Basket Pampers size 3 Teddy Bear Muslin Sq.. 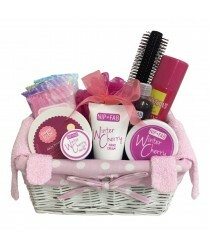 Contents: Wicker Basket Manicure Set Hair Towel Tissues ..
That first baby bathtime is a special moment. Make it perfect with this lovely Dinkytoes Hampe..
That first baby bathtime is a special moment. Make it perfect with this lovely Dinkytoes Hamper. Ava.. Contents: Wicker Basket (21d x 30w x 14h cm) Plush Spiral Pram Toy..
Vest, sleepsuit, booties, bib and more – every essential to keep baby warm and snug. All displ..
A lovely yellow fluffy duck adorns this gift hamper.Packed full of useful items for mum and a soft b..
A perfect luxury hamper for a snugly bugly baby! 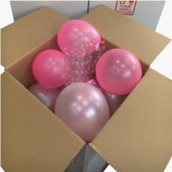 Gorgeous hamper full of goodies for the new arriv..
A perfect luxury hamper packed full of goodies all in a neutral colour.Perfect for the parents who..
That first baby bath time is a special moment, make it perfect with this luxury hamper which&..
Two little boys means double trouble! 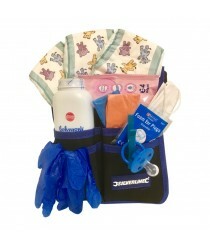 This hamper has two of everything, blankets, bibs, muslin squa..
Two of everything in this gorgeous Twin Girls Baby Hamper. Blankets, Muslins, Bibs and more for the ..
Two of everything for your little Twin Boy and Girl in this gorgeous Baby Hamper.Blankets, Bibs..
Lovely Twins Baby Hamper full of lots of goodies for the new arrivals! All in neutral colours which ..